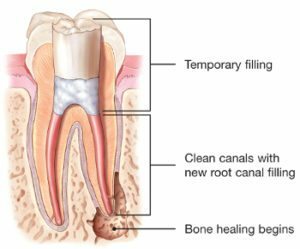 Root canal retreatment is a procedure used to clean the canals of a tooth that have already been subject to a root canal. 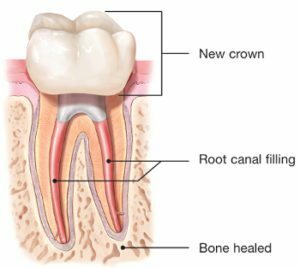 Although most root canals are successful the first time, there are many reasons why a retreatment may be necessary. 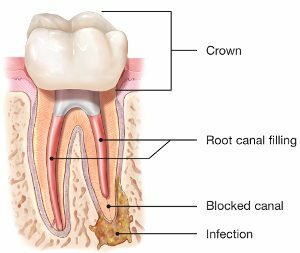 For example, some patients may have hidden canals that were not identified in the initial procedures, whereas others may experience a new infection caused by a loose crown or damaged filling. In some cases, these complications can occur immediately following a root canal when pain continues to persist and the tooth fails to heal. For other patients, complications can arise many years after an initial root canal. 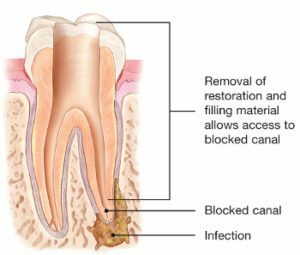 The goal of retreatment is always the same as the initial root canal: Eliminate all bacteria from the inside of the tooth and seal it so that it is permanently protected from future infections. that a retreated root canal can allow a natural tooth to last many years or even a lifetime? In fact, the National Institutes of Health confirm that successful treatment is a realistic goal of root canal retreatment. As with any dental procedure, there is no guarantee that retreatment will be a success for every patient. However, the vast majority of root canal retreatment patients experience positive outcomes. Do I need a root canal retreatment or should I have my tooth extracted? 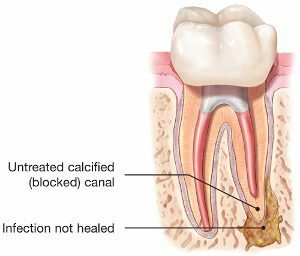 If your root canal treatment was unsuccessful or a new infection has occurred in a previously treated tooth, retreatment offers a chance to save your tooth without having it extracted. If many years have passed since your initial root canal, innovative new methods may be available to your endodontist that was not an option during your first treatment. Of course, there is no way to know whether retreatment is right for you without first consulting with your endodontist. 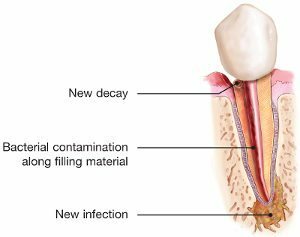 What should I expect during my root canal retreatment? If you determine that retreatment is right for you, your tooth will be reopened so that the filling may be removed from your tooth. Special instrumentation will be used to identify hidden canals or areas of the tooth that could be harboring an infection. These areas will be cleaned out and refilled. You’ll then return to your dentist for a crown or other type of restoration. Will I need to follow any after-care instructions following my root canal retreatment? As with your first root canal, your retreatment will require you to avoid chewing or biting with your treated tooth until you can return to your dentist for a restoration. You may also experience some discomfort following your treatment. These usually subside within a few days, but contact your endodontist if pain persists or worsens.